As the age-old adage goes, necessity is the mother of inventions and that is absolutely the case with the Rolex Sea-Dweller. In the 1960s Rolex had a special relationship with the leading commercial diving company of the time, COMEX (Compagnie Maritime d’Expertises), and it was COMEX that requested Rolex to create a super diving watch capable of reaching the depths the commercial divers needed to reach. Rolex fulfilled the request and produced a batch of special watches for the divers that would be the pre-curser of the Sea-Dweller collection for the general public. Rolex Double Red Sea-Dweller is able to go 2000ft. 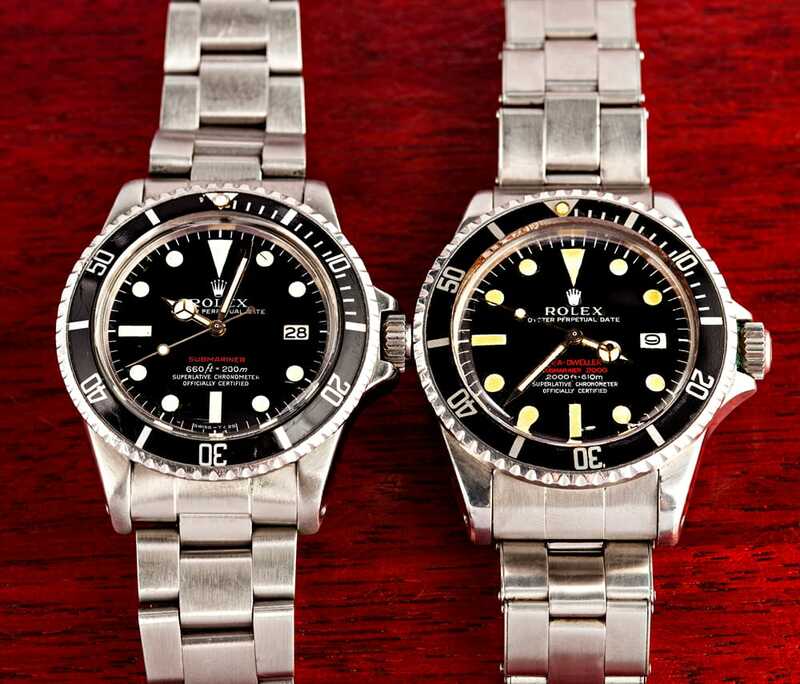 The specially created watches for COMEX were actually the Rolex Submariner ref. 5513 diving timepieces customized with the Rolex patented Helium Escape Valve – a groundbreaking mechanism that allowed the built-up gases to be released from the watch during decompression to prevent it from bursting from too much pressure. The success of the modified diving watches led to the 1967 launch of the new collection and reference, the Sea-Dweller ref. 1665 . Double Red Sea-Dweller Caseback has the engraved “Gas Escape Valve”. 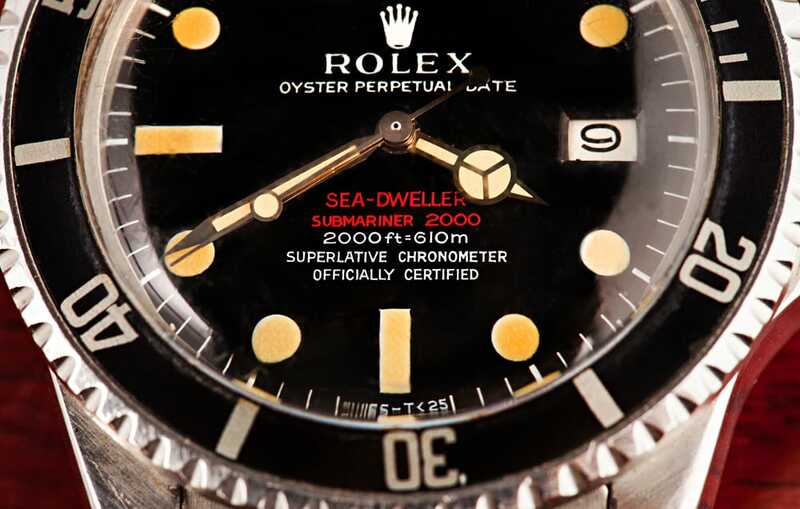 When it was released, the Sea-Dweller 1665 featured the Helium Escape Valve, a new domed crystal without the iconic Cyclops lens, a larger case and a new dial with “Sea-Dweller” and “Submariner 2000” written on two lines in red font. It is these two lines of red writing that gave the piece its nickname, the Double Red Sea-Dweller, or DRSD for short. As clearly indicated on the dial, the new Sea-Dweller could safely reach the incredible depth of 2000 feet, making it the choice watch for deep-sea explorers. Guides to buying pre-owned Rolex watches dictate to avoid those timepieces with engravings on the caseback. Why? Because that’s normally an indication of a counterfeit product since the brand does not commonly engrave the casebacks of their watches. However, the Double Red Sea-Dweller is the exception to that rule. Since Rolex typically does not engrave messages on the back, this watch becomes all the more valuable. On the casebacks of the DRSD are several engravings – the Rolex logo, “Gas Escape Valve”, “Rolex Patent” (on early versions of the watch it was written as “Patent Pending”) and “Oyster”. 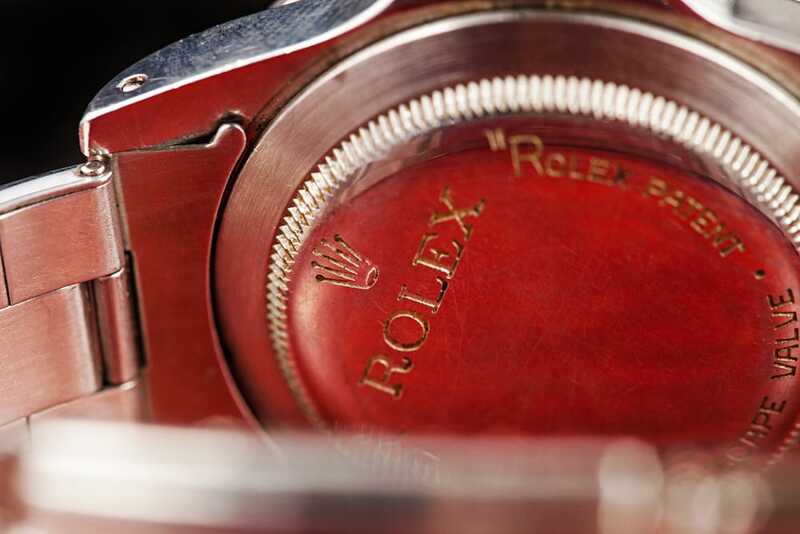 Some models have the Rolex logo etched across the casebacks, while some rarer versions have the logo engraved around the circumference. 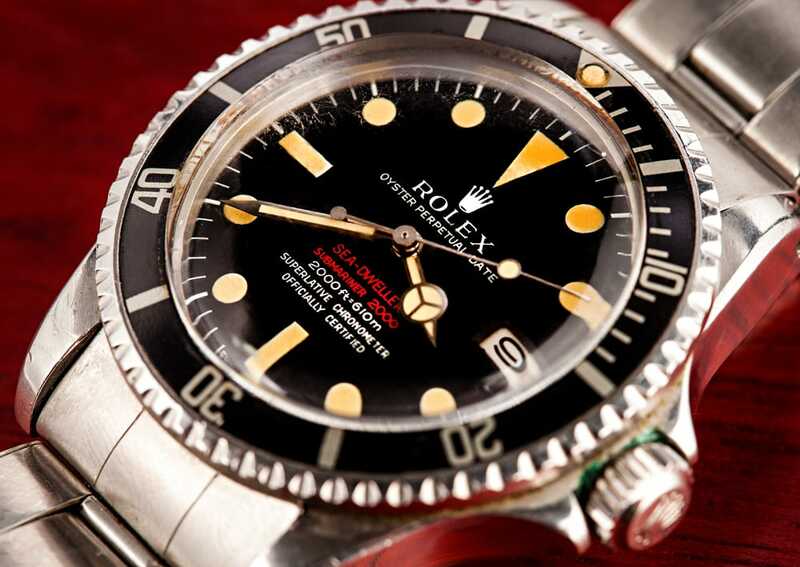 The Rolex Double Red Sea-Dweller was produced for a decade from 1967 until 1977 and during that time, several dials were created and are known by collectors as Mark I, Mark II, Mark III and Mark IV with their rarity ranking in descending order. But of course, all are coveted collectibles. Diving into the history of the Double Red Sea-Dweller highlights an integral part of the Rolex heritage and underlines its steadfast commitment to producing exceptional watches by challenging the status quo.